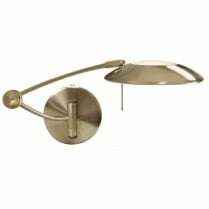 New for 2018, Searchlight presents a stunning range of wall mounted articulated lights. 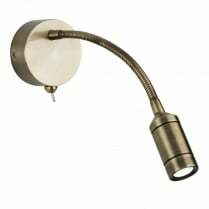 Finished in black and gold or white and chrome, each light in the range requires a single E27 (Edison screw) LED bulb with a maximum wattage of 7W (not included). 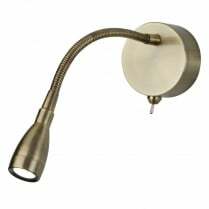 As these fittings are supplied with a built in pull switch they are not compatible with a dimmer switch. 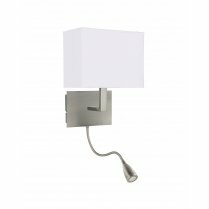 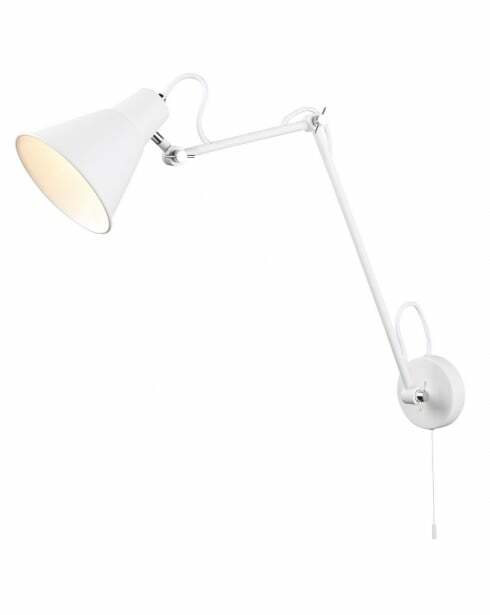 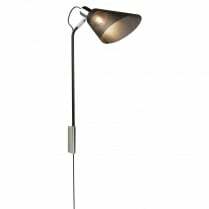 The 7403WH is a white wall mounted articulated light with chrome details and a white coloured inner shade. 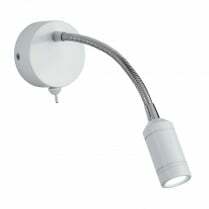 The height of this fitting is 73cm, it has a width of 14cm and projects 34cm from the wall.